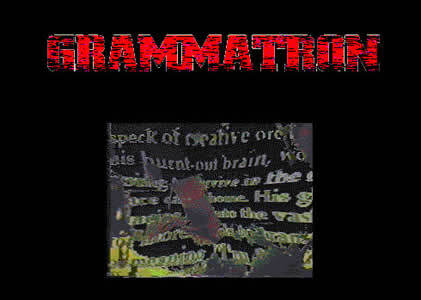 Grammatron is an experimental multimedia environment developed by artist Mark Amerika in 1997. The nonlinear narrative concerns Abe Golam, an "info-shaman," whose alternate persona is Grammatron, a genderless digital being. Abe's surname alludes to the medieval Jewish legend of the golem, a robotlike servant made of clay and brought to life, who is considered a prototype for man-machine myths from Frankenstein to cyborgs such as the Terminator.